SAF CREW MARINE is a fast growing crewing company located in Odessa, Ukraine. Our Company is fully licensed in accordance with the requirements of Ministry of Labor and Social Policy of Ukraine. We are able to provide fast and excellent recruitment service to all Maritime companies within the Oil and Gas industries, with well-experienced and competent seamen for all types of vessels: Bulkers, Containers, Multi-Purposes, Reefers, Oil Tankers, Chemical Tankers, LPG, LNG etc. Today we have a list of over 50 000 crewmembers in our database, which we have collected through the years. 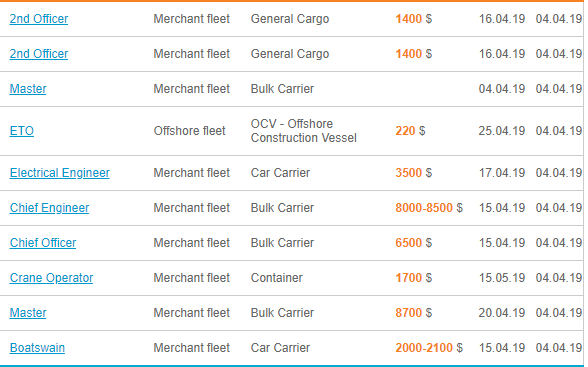 They are highly qualified seafarers who is in full accordance with STCW ’95 and completely complying with all IMO/ISPC/ISM rules and regulations.